Missing Person: Nia Gronau, 17, of Willingboro, NJ. Last seen 6/1 at 8 a.m. in Pemberton Twp. area. 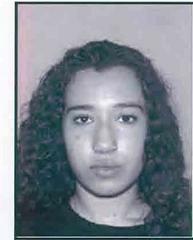 The New Jersey State Police is seeking the public's assistance with locating a Nia Gronau, 17, of Willingboro, N.J. She was last seen this morning at 8 a.m. in the area of Cranberry Bogs in Pemberton Township. Anyone with information is asked to contact the New Jersey State Police Missing Persons Unit at 609-882-2000 ext. 2895.